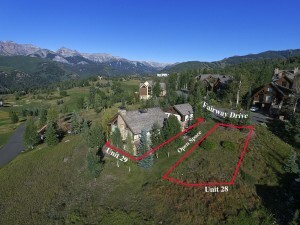 The Telluride real estate market is unique. Properties may sell in days or linger for years… and years. Our time to actively sell property is frustratingly short, June through September in the summer, and December through March in the winter. Those time periods can be reduced further to two months in the summer, July and August, and two months in the winter February and March, when the majority of transactions occur. Occasionally sellers become frustrated with this scenario, and as a result they adjust asking prices to the point where their property stands out above all others. I have two sellers who have just done that: A home at 317 Fairway Drive in Mountain Village and the 418 acre Morrison Ranch on Hastings Mesa. The Mountain Village home, across the cul-de-sac from our personal home, is a superb buy at the new $ 1,395,000 price. It was built in 1993 and does need some touching up, but at 3456 square feet with 4 bedrooms and 5 baths, an open floor plan, and stunning views, it’s very worthy of a closer look. 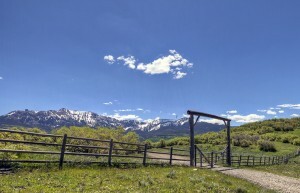 The Morrison Ranch is located 30 minutes from Telluride. It’s pretty remote with superb views, 2 grass landing strips, 418 acres with no homeowner’s association! There is a hangar on the property, two stock ponds, and a well. Originally priced at a lofty $ 4.65 million, it was recently dropped to $ 2.35 million, and a few days ago it was reduced to a very attractive $ 1.9 million. These are two properties which should sell over the next few months. Telluride real estate – 2018 end of year analysis.